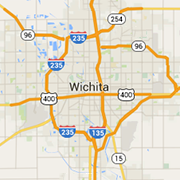 Find out about Wichita area issues and public concerns. The American Diabetes Association mission is to prevent and cure diabetes and to improve the lives of all those affected by diabetes. To be economically competitive in a world marketplace, we must work together to identify a collective vision for our future and design a toolbox of strategies to achieve it.